the non-hardy plants so that they can overwinter indoors. steps to ensure that your plants make it through the winter. inside. No need to try to save the ones that look sickly. pot – 1 gallon if you can – with regular potting soil. Do a moderate pruning as you bring your plants indoors. pinching back to encourage bushy growth. they will soon overwhelm a plant. will also help keep these mites under control. your pot, feeding on the roots as they need nourishment. she answers questions about organic gardening at: advice@tvorganics.com. It is a small word. It is an unimpressive word. It is a word we don’t think nearly enough about. When we do think about it, it is usually how to get it out of clothes or keep it out of the house. But, for a gardener, dirt is where it all starts. Dirt determines weather you will have scrawny chocolate daisies or vibrant healthy ones. The condition of your dirt invites insect pests or repels them. It safeguards your salvias from deadly fungus diseases or it lets root rots run rampant and destroy everything. Good dirt is a pleasure to garden in and bad dirt makes us wish shovels were never invented. take dirt for granted like air. It is just there. But, dirt is a living breathing world that needs care and attention. Just like the air we breath needs to be cared for or it becomes unhealthful; dirt needs to be tended or it dies. Yes, it dies. Take a look at nature. Every spring plants sprout, grow, flower and die. Does anyone come along with a rake or a tiller and tidy up? No, the dead plant lays there and decomposes. All the nutrients that the living green plant had are now being integrated back into the dirt they came from. As the years go by, an incredibly rich soil is built and forests and foothills flourish. Unfortunately, this doesn’t resemble our yard and garden very much. Often, the land is scraped or dug out to make room for a home. Taking away the top layers of soil leaves us with harder, less workable, less alive soil. It is funny but most of us understand this intrusion. We even forgive it; we had to put the house somewhere. the natural layers of soil. Removing and churning up the layers of the soil, is not the only way we kill the dirt. Chemical fertilizers are another reason we have dead dirt. Lawns that are treated year after year with chemical fertilizer are a good example of dead dirt. The imbalance caused by excessive nutrients of one kind, say nitrogen in the form of ammonia nitrate, wrecks havoc with the balance of nutrients needed by the soil. It would be as if theonly nutrient your body received was Vitamin E. Eventually, your body could not function. But, when you apply an organic fertilizer, say a nice compost, you are providing a broad range of nutrients and the soil thrives. With the health of the soil, comes microbial life, earthworms, even gophers. The soil is more balanced. You fertilize less. You have better crops. You have less disease. You win! Here are some quick tips for a healthy soil. If you have a lawn, leave the clippings on. Run over them a few times with the lawn mower to chop them up. Realize that whatever fertilizer you put on the lawn (or any plant), is taken from the roots to the leaves. When you get rid of the lawn clippings, you are throwing away the money you spent on fertilizer. If you don’t want to leave the clippings on the lawn, make a compost pile with them. just added to the top. When we dig deeply we make upside down soil instead of healthy soil. Remember the soil on the bottom has been pressed on longer than the soil on top and it is better to just leave the bottom soil on the bottom. Don’t expose bare ground to rains and sun. A quick way to make concrete is to leave a soil high in clay bare of growth. If you are not ready to use that plot of ground, mow the weeds short but leave the roots and mowings on top. Here, we have lots of acres that are still in grasses. We don’t remove the natural vegetation until we are ready to do something better with the ground. or the pressing of the weight of the machine on the soil. The soil does not just pop back open and the air spaces are lost for a long time. And, it goes without saying,(but I am going to say it anyway),stay away from herbicides, pesticides and chemical fertilizers. If you have pesky weeds, solarize or mulch. If you have nasty critters, work on the health of your soil by adding layers of organic amendments. Understanding our dirt and taking care of it will go a long way toward a more enjoyable garden experience. Hello fellow Earthlings, and welcome to disease control 101 for your garden. In this discussion we will be looking at those unseen disease organisms that are of constant concern for gardeners in any location and climate. So lets take a walk out to the garden and look at the places were these bacteria, fungi, and viruses live and how to put a monkey wrench in their plans to damage our plants. Disease organisms that attack plant tissue are little understood critters that inter your plants in a number of ways. The most common entry into your plants is through wakened or stressed tissue. The entry may be through a wound in the plant, an unhealed scar, or within the saliva of certain plant juice-sucking insects that inject the toxins into the plant when feeding. These are just a few of ways that disease organisms can enter your plants. The old “ounce of prevention” axiom definitely holds true when considering diseases of plants. By far the easiest way to prevent diseases from attacking your precious plants is to grow healthy plants! Using natural gardening techniques is a very good way to ensure you grow healthy plants. Natural/ organic gardening practices are very efficient ways to make sure that pathogenic disease organisms have competition for energy and that beneficial organisms that may actually prey on them are present and active. This battlefield of biology can take place on a single spec of soil or on the leaf of your favorite rose. The war of good vs. bad organisms is as old as the Earth itself and is known as “competitive exclusion”. By promoting the proliferation of beneficial organisms in your garden you automatically reduce the chances of pathogenic organisms taking hold. The best way do this is to garden naturally! The most effective way to begin the process of competitive exclusion is to apply copious amounts of organic matter to your garden soil. This can be achieved by adding composts, organic mulches, and manures to your soil each season. The addition of any of these types of organic matter will encourage the growth of beneficial organisms while it improves the physical quality of your soil. These beneficial organisms will proliferate in your rich, organically tended soil and fight off those evil microbes that attack your plants. Adding a 3 to 4 inch layer of composted manure, backyard compost, or organic mulch will ensure that these good guys have plenty of energy to keep the bad guys at bay. Many gardeners use a variety of chemical fungicides to compete with disease organisms in order to keep their gardens disease free. This is a very counter productive and environmentally insensitive method. If one is inclined to spray, it is the goal of this natural gardener to give you some alternatives to synthetic chemicals. Some very good fungicidal materials from natural sources are as follows. These materials are derived from naturally occurring minerals that are combined with water and sprayed onto plants affected by powdery mildew, rust, black spot, and a number of other disease organisms. 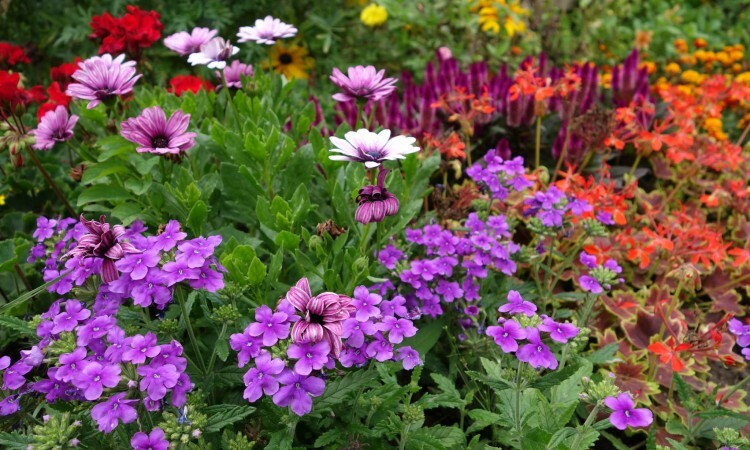 It is widely distributed by retailers and can be found at most garden centers. Copper sulfate is probably one of most widely used fungicides by farmers and gardeners alike. It is effective at controlling a wide variety of disease organisms. It is easily found at all nurseries and garden centers and is a very powerful material. The oil extracted from the seed of the Neem tree of India is an effective control for many disease organisms, especially on roses. Neem is also used as an insecticide and is used in soaps and toothpastes to fight bacteria as well. I have a home brewed fungicide that has worked for many years in controlling a number of fungi on veggies and roses. It consists of equal parts of baking soda and hydrogen peroxide (5 tablespoons) mixed into a gallon of water. I use this one when powdery mildew gets out of hand on my squash or peas. I also use this one on roses when that bloody rust shows up. I also use it on black spot and downy mildew on roses and grapes. There are no shortages of disease pathogens that can take hold in the garden. The natural gardener is the most prepared to take the rascals on. Next time we will be discussing some natural care techniques for your houseplants. See you in the Garden! Got Questions? Email the Doc at Curly@mill.net Don Trotter’s natural gardening columns appear nationally in environmentally sensitive publications. Check out Don’s books for lots of helpful gardening tips Natural Gardening A-Z, The Complete Natural Gardener, and soon to be released Rose Gardening A-Z, all from Hay House Publishing www.hayhouse.com and available at all bookstores and on-line booksellers.